Silent sejm in Warsaw, 1717. The silent sejm was actually a one-day session on 1 February 1717. It was convened on the strength of the treaty, signed on 3 November 1716 in Warsaw, by the nobility of the Tarnogród Confederation (formed on 26 November 1715) and the king Augustus II, as a result of mediation by the Russian envoy, Grzegorz Dołguruki. 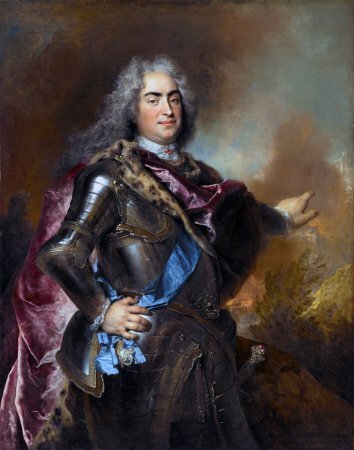 The treaty ended the civil war between Tarnogrów confederates and Saxon forces, brought to the Commonwealth in 1710 by king Augustus II, in order to strengthen his reign. 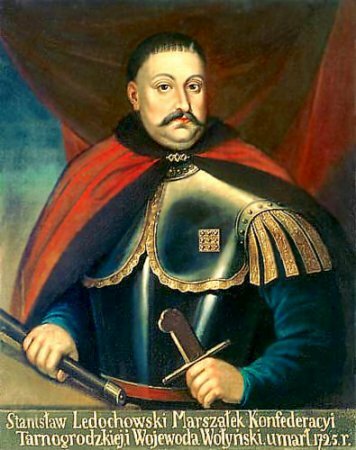 The marshal of the Chamber of Deputies became Stanisław Ledóchowski, marshal of the Tarnogród Confederation and chamberlain of Krzemieniec. During the proceedings in the Royal Castle, surrounded by Russian forces, no one was allowed to speak, except for the marshal of the sejm, who directed the session and read the resolutions aloud, as it was feared that one of the deputies might disrupt the sejm, using the liverum veto right (therefore the sejm of 1 February 1717 is called a “silent” one). The adopted resolutions confirmed resolutions of the treaty, signed on 3 November 1716. It was agreed, that the relations between the Commonwealth and the Saxony were to be based on a personal union. The Saxon ministers were forbidden to make any decisions regarding the Commonwealth (and there could be maximum 6 of them by the king), the Saxon army in the territory of the Commonwealth was to be reduced to 1200 soldiers, functioning as the king’s personal guard. The king was also forbidden to leave the Commonwealth for longer periods of time to rule in Saxony or to make any decisions regarding the Commonwealth while being in Saxony. The armed forces were to number 24000 soldiers (18000 in the Crown and 6000 in Lithuania), fully paid for with regular military wages. The hetmans’ powers were reduced, especially when it came to administering the military treasury, conducting own diplomacy. The troops were to reside at the borders during the elections. Establishing courts for treasons against the state, which were to work at the royal court, was announced. It was prohibited to vote for limita of sejmiks, that is adjourning the proceedings by the sejmik on its own behalf. The sejmiks were also deprived of the right to recruit troops and impose taxes (except for szelężne tax [comes from Polish “szeląg”, meaning “penny”; this tax was paid by the bourgeois, it amounted 10% of the worth od sold alcoholic beverages], czopowe tax [rom Polish word meaning “bung”, a pre-excise tax], intended to support paying for council needs). See: S. Grodziski, W rocznicę „Sejmu Niemego” (1717-1967) [In the anniversary of “Silent sejm” (1717-1967)], „Studia Historyczne”, R. 10, z. ¾, 1967, s. 17-26.; Ustawodawstwo zob. Volumina legum, Wyd. J. Ohryzko, t. 6, Petersburg 1860, s. 229-392. 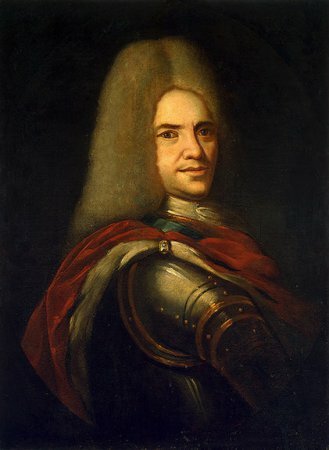 H. Olszewski, Sejm Rzeczypospolitej epoki oligarchii (1652-1763). Prawo-praktyka-teoria-programy [Sejm of the Commonwealth in the oligarchy era (1652-1763). Law-practice-theory-programs], Poznań 1966; J. Michalski, Sejm w czasach saskich, [Sejm under the rule of Wetting dynasty]w: Historia sejmu polskiego [The history of Polish sejm], t. 1, Warszawa 1984, red. J. Michalski, s. 300-349J. Feldman, Geneza konfederacji tarnogrodzkiej [The origin of the Tarnogród Confederation], „Kwartalnik Historyczny”, R. 42, 1928, s. 493-531; J. A. Gierowski, Między saskim absolutyzmem a złotą wolnością. Z dziejów wewnętrznych Rzeczypospolitej w latach 1712-1715 [Between Saxon absolutism and the “Golden Liberty”. The internal history of the Commonwealth (1712-1715)], Wrocław 1953.Geneza reform skarbowych Sejmu Niemego. Studium dziejów skarbowo-wojskowych z lat 1697-1797 [The origin of the fiscal reforms of the Silent Sejm. Study on the fiscal-military history (1697-1797)], Poznań 1938.